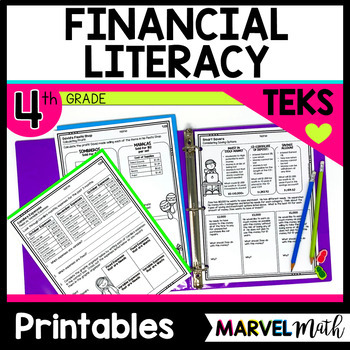 These No Prep Printables cover the Personal Financial Literacy TEKS: 4.10A, 4.10B, 4.10C, 4.10D and 4.10E. 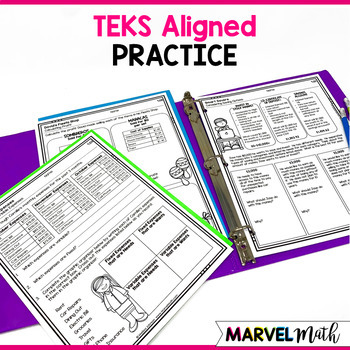 Topics include Fixed and Variable Expenses, Calculating Profit, Basic Purpose of Banks and Financial Institutions, allocating allowance between Spending, Sharing & Saving, and the advantages and disadvantages of different Savings Options. 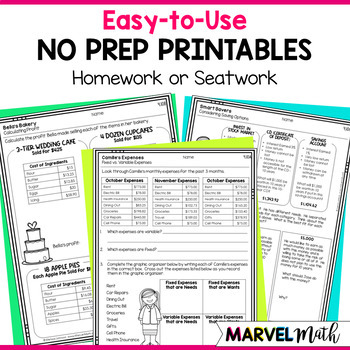 There are 10 pages of printables plus detailed keys included. 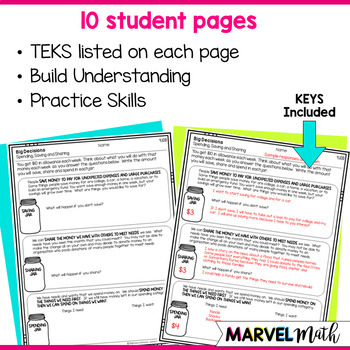 There are 2 pages for each of the TEKS.